The only physical difference I've ever seen between Gohan in base form, and Gohan in mystic form, it's a radiance he displays for a second in the Battle of Gods movie when turning into mystic form. Aside of this minimum difference, is there any other change in his appearence when he is in base form compared to when he is in mystic form? There is not much of difference or drastic change regarding his physical appearance between his base form and the power Old Kaiōshin unlocks for Gohan if we exclude the Dragon Ball Super anime. Even if there is a slight change in his physical appearance it is unfortunately not noted down by anyone. 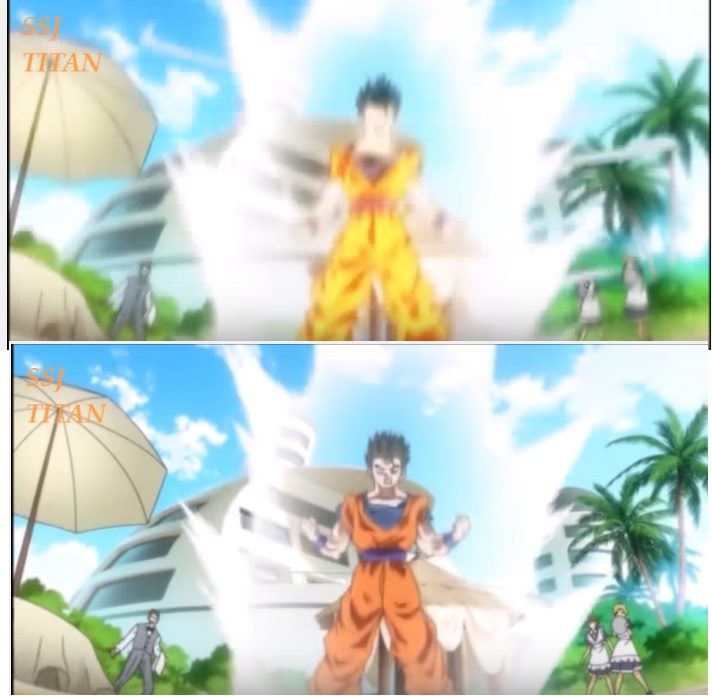 In episode 88, Toei seems to distinguish Gohan's base form and the power Old Kaiōshin unlocked by adding a "hair bang" while he was using the the power Old Kaiōshin unlocked. Although this may not be a 100% accurate way to distinguish his physical appearance, but we will have to wait till episode 90 comes out and see if Gohan will have that "hair bang" only when he's using the power Old Kaiōshin unlocked or not. It should also be noted that in episode 88 it is somewhat implied by Piccolo that Gohan has not been using the power Old Kaiōshin unlocked (at least only in the Dragon Ball Super anime) ever since after his fight with Super Buu. NOTE: By radiance I am assuming you mean the white aura surrounding him. That is actually pretty common (at least for most of the Saiyans, humans and Namekians) when someone powers up in his/her base.